Our Teleflora Network florists specialise in same day flower delivery so you can send a quality floral gift almost anywhere in New Zealand as quickly as possible. 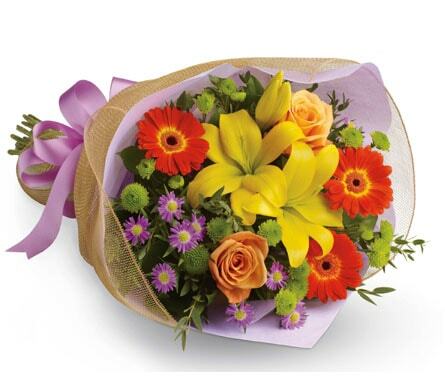 At Teleflora we only use local florists to deliver your order so you can be assured your flowers will arrive fresh. No matter what occasion or budget, we'll be able to help you find a great gift. All our flowers are designed and hand arranged by local florists. From bright and happy bouquets to modern and elegant floral arrangements there's a floral gift to suit everyone. Find something for birthdays, anniversaries, special events and celebrations. You can send romantic red roses for a special wedding anniversary or a fun and fabulous floral bouquet for a big birthday bash. There's a great range of funky and colourful arrangements sure to delight. If you're celebrating the birth of a new baby, a beautiful floral baby basket can be delivered to the home or hospital. If you're not sure what to send why not browse our delicious range of gift hampers and baskets. Gift hampers are the perfect gift for family and be shared among everyone! 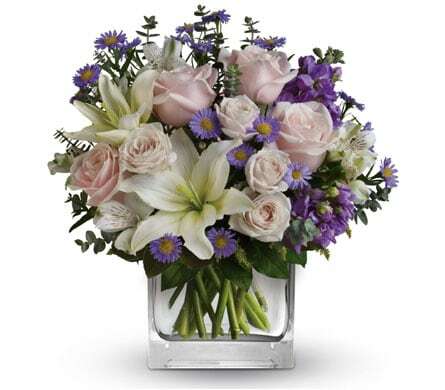 At Teleflora, we have created a sympathy range designed to convey your deepest condolences and respect. Our florist will craft a beautiful floral arrangement that is a fitting tribute for the dearly departed. We can organise specialised delivery to the service, church or nursing home. There's no need to worry about last minute gifts. We are the specilaists in same day flower delivery. Send fresh and beautiful to almost anywhere in New Zealand when you order today. To guarantee delivery, place your order before 2:00pm in the recipient's time zone on Monday to Fridays and before 10:00am on Saturdays. We'll organise prompt and professional flower delivery to a number of locations. You can arrange for flowers to be delivered to the home, office, hospital, nursing home, church or funeral home. For your convenience you can order flowers online or call our friendly customer service team to organise your flowers. Browse our easy to use website for great gift ideas to suit all budgets, tastes and occasions. If you're unsure what to choose check out our designer's choice range of bouquets and arrangements. Our florists will create an orginal gift using the freshest, seasonal flowers available. Our designer's choice flowers are unique and one of a kind floral gifts. Not to mention the best value for your money! 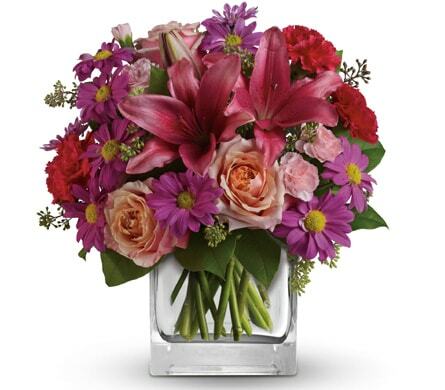 For fresh flower delivery order online or call our friendly customer service team today!